ClearSight LLC is proud to announce the ClearSight Intraocular Lens — a revolutionary device designed to give ophthalmologists a comprehensive solution to reduce posterior capsule opacification. The ClearSight IOL features Sharklet, a micropattern designed to redirect cellular migration away from the field of vision. The optic is designed to extend the depth of focus without the need for axial movement. The material is specifically formulated to be free of glistenings. The outer portion of the lens has a 360⁰ square-edge micropatterned membrane preventing LEC migration responsible for PCO formation. According to the World Health Organization, cataract is the leading cause of blindness, with over 20 million people affected in 2010. While age is the leading cause, younger people can develop cataract through eye disease or injury. Current treatment for cataracts is simple: the clouded lens is removed, and a new, artificial intraocular lens is inserted. After the surgery, cells migrate onto the new lens, making it cloudy. A followup procedure uses an Nd:YAG laser to remove the migrated cells. Unfortunately, these laser procedures are expensive and available to less than 1% of the world’s population. In 2012 alone, Medicare reimbursed more than $350 million for laser capsulotomy surgeries. The ClearSight presbyopia-correcting IOL addresses the shortcomings of multifocal and accommodating IOLs through the use of a multi-pronged approach to deliver a lens with an extended depth of focus while eliminating factors that could affect lens performance. Current multifocal IOLs are based on integrating a few optical zones within the IOL surface to create a limited number of focal points on the cornea. 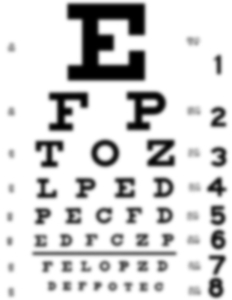 Each focal point offers corrected vision at a specific distance (near, intermediate, and far). Accommodating IOLs are designed to simulate the performance of the young natural lens when the focus shifts from far to near or vice versa by allowing the IOL to move within the eye. 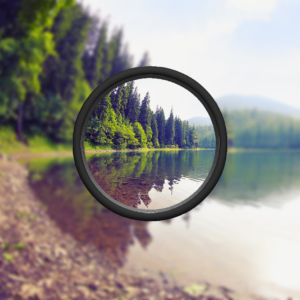 Neither type of lens performs satisfactorily. The ClearSight IOL achieves extended depth of focus by smoothing the transitions between the optical zones. Using novel design concepts, this allows the focal plane to extend without the glares and halos traditionally associated with shifts in optical zones. This is achieved without requiring the lens to move, offering more dependable performance. The ClearSight IOL is made in a patented hydrophobic acrylic material that is formulated to eliminate glistenings. Currently, the two market-leading IOLs in the U.S. are plagued by the occurrence of glistenings in the material, which can sometimes affect visual quality. Our material eliminates this issue, providing a better platform for delivering a premium extended depth-of-field optic. 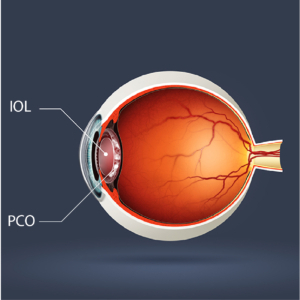 The ClearSight IOL is designed to prevent PCO. A novel square-edge membrane fully surrounds and protects the optic against LEC migration. The membrane is printed with Sharklet, a micropattern designed to inhibit the migration of cells onto the new lens. In vitro studies revealed an 80% reduction in LEC migration, while in vivo studies demonstrated 100% reduction in visually significant PCO in rabbit eyes. These results signify a breakthrough in PCO prevention. In this in vivo study, experts at the University of Utah show that PCO was reduced in rabbits with 100% reduction of clinically significant PCO. For more information, visit the Journal of Cataract and Refractive Surgery. 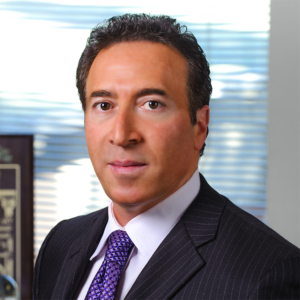 Dr. Mentak has extensive experience in building medical device companies from the ground up. He founded and led several companies in the ophthalmic space including Surgidev Corporation, Advanced Vision Science, Inc. (AVS) , and Adoptics Ltd. Dr. Mentak is the founder and president of Key Medical Technologies, Inc., a privately owned company specializing in developing and licensing novel technologies for ophthalmic applications. His research interests include novel ophthalmic materials and implants, viscoelastic solutions and films for ophthalmology and surgical adhesion prevention, and surface modification of biomaterials for improved biocompatibility and sustained drug release. Dr. Mentak holds a PhD in Materials Science and Engineering from the University of Florida, He holds 25 international patents in the area of ophthalmology and medical devices. Dr. Mentak has published extensively in ophthalmology and biomedical journals and is a frequent guest speaker in international meetings. Dr. Cuevas holds some of the original patents for the ClearSight IOL design and is a co-founder of the company. 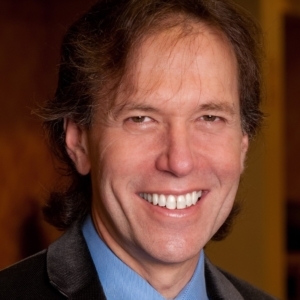 He is the founder and former Medical Director of Rocky Mountain Ophthalmology, one of the leading high-volume cataract practices in the country, where he is also a practicing ophthalmologist. Dr. Cuevas serves as Partner and Chief Medical Officer (CMO) for ClearSight LLC and is the inventor of the patented ClearSight IOL device. His cataract surgery experience is vital in the design of the optimized ClearSight IOL, animal study design, and results interpretation from a clinical standpoint. 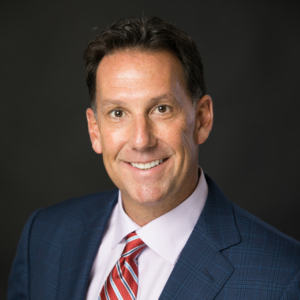 He brings nearly two decades of experience as a practicing cataract surgeon and boasts numerous peer-reviewed publications, including work on surgical technique improvements that lead to better patient outcomes in corrective vision operations. Dr. Cuevas is responsible for designing the novel IOL intended to prevent PCO and provides the necessary clinical insight to further develop this product while optimizing the incorporation of the Sharklet micro-pattern technology. Dr. Cuevas holds an MD from the University of Southern California School of Medicine, completing his residency at the University of Texas Southwestern Medical and fellowship at University of Iowa Hospitals and Clinics. He earned his B.S. in molecular biology and chemistry from San Diego State University. His work has been published in the American Journal of Ophthalmology and with the following organizations: The American Academy of Ophthalmology (AAO) and The Association for Research in Vision and Ophthalmology (ARVO). 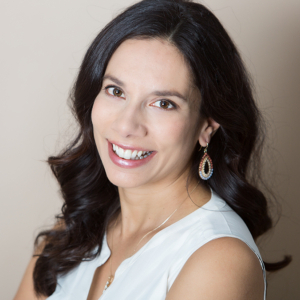 As the former Medical Director for Rocky Mountain Ophthalmology, Dr. Cuevas focuses on cornea, cataract, and refractive surgery. Dr. Reddy serves as ClearSight’s Chief Executive Officer. She is responsible for strategic planning for the company’s efforts to move forward with product R&D, regulatory strategy, and path to market. As VP of R&D for parent company Sharklet Technologies, Inc., she is instrumental in securing licensing deals with strategic partners for use of the Sharklet micropattern on medical devices. Dr. Reddy serves as ClearSight’s Chief Executive Officer. She is responsible for strategic planning for the company’s efforts to move forward with product R&D, regulatory strategy, and path to market. As VP of R&D for parent company Sharklet Technologies, Inc., she is instrumental in securing licensing deals with strategic partners for use of the Sharklet micropattern on medical devices. She leads joint development efforts with partners including Cook Medical in bringing these novel devices to market, providing expertise on the Sharklet technology from both a technical standpoint as well as engineering, regulatory, and clinical phases of product development. Dr. Reddy holds a PhD in Chemical Engineering from the University of Texas at Austin, where her research focused on microfluidics in the Step and Flash Nano-Imprint Lithography process. She earned a BSE degree in Chemical Engineering from Princeton University. She received a Humboldt Fellowship for postdoctoral research at the Max Planck Institute in Stuttgart, Germany. Her work has been published in numerous scientific journals including Clinical and Translational Medicine, Journal of Endourology, Advanced Materials, Microelectronic Engineering, Physics of Fluids. Mr. Harris is ClearSight’s Director of R&D, and oversees daily execution of the ClearSight IOL development, manufacturing, and testing efforts. He brings medical device development experience, including holding the engineering lead position for the Sharklet-patterned Foley catheter for Cook Medical. 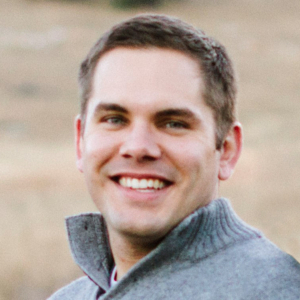 Prior to joining ClearSight, Mr. Harris was a development engineer for EndoShape, working on a novel coil embolization device that utilizes a shape memory polymer. Before his work with EndoShape, he was a development engineer and project lead for Cook Medical, where he was instrumental in the approval of the Sharklet-patterned Foley catheter among other minimally-invasive surgical devices. He is experienced in quality management systems and ensures that ClearSight product development adheres to appropriate quality standards. He earned a B.S. degree in Biomedical Engineering from Rose-Hulman Institute of Technology with a focus in biomechanics. Ms. Cecka is ClearSight’s Director of Regulatory Affairs, bringing many years of experience in Ophthalmic device market approvals and clinical trials with her. 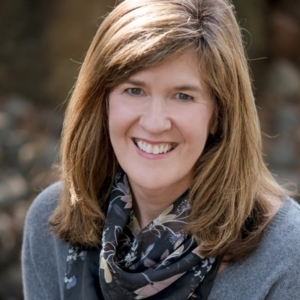 She has been involved with taking products through US and European market approval processes for both large and small companies, including Abbott Medical Optics (AMO), Hoya Surgical, Allergan, Baxter, PowerVision, TrueVision, and Glaukos. These roles have spanned from Director of Clinical Affairs to Director of Regulatory and Quality Affairs. She has overseen FDA clinical trials and marketing studies, developed clinical protocols in collaboration with regulatory bodies, interfaced with physicians, obtained IRB approvals, assembled and submitted IDEs, 510(k) s, PMAs, and Technical Files. She has deep experience in strategic planning, clinical data assessment, literature review, design control, labeling, and medical writing. Mark Packer is internationally recognized as a leader in ophthalmology, the author of original research establishing innovative techniques and groundbreaking technologies. He is widely sought after for his medical, clinical and regulatory expertise by companies in the medical device and pharmaceutical space. Some of these companies include Abbott Medical Optics, Advanced Vision Science, Aerie Pharmaceuticals, Alcon Laboratories, Allergan, Bausch & Lomb, Cassini USA, General Electric Health Care, International Biomedical Devices, Johnson & Johnson, Lensar, Oculeve, Promedica International, Rayner, Refocus Group, SOLX, STAAR Surgical, Transcend Medical, True Vision Systems, VisionCare Ophthalmic Technologies and WaveTec Vision Systems. He has served as Principal Investigator or Medical Monitor in over sixty clinical trial protocols leading to FDA clearances and approvals. Dr. Packer completed his MD at University of California Davis and did his Ophthalmology residency at Boston University. 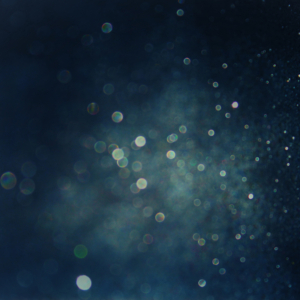 Do you have questions or comments about ClearSight? We’d love to hear from you. Use the form below or contact us using the information to the right.